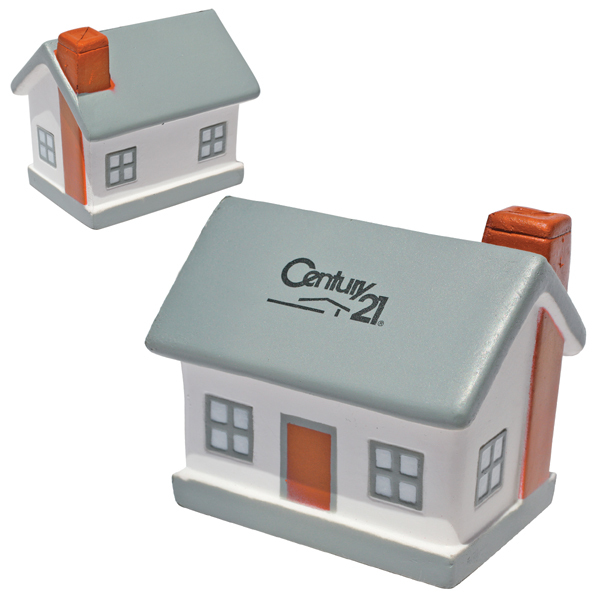 Put your brand on the open market with this fun house shaped stress reliever! Ideal for insurance companies, realtors and more, help customers take a load off at the end of a busy day. Each custom imprinted item is handcrafted and may vary in size and shape. 100% consistent imprint and PMS matches cannot be guaranteed. Ink will fade with use and base material may bleed through imprint. This is not a toy, nor safe for use by children or pets. Bulk / 20 lbs / 180 pcs. / 14.00" x 18.00" x 16.00"box.